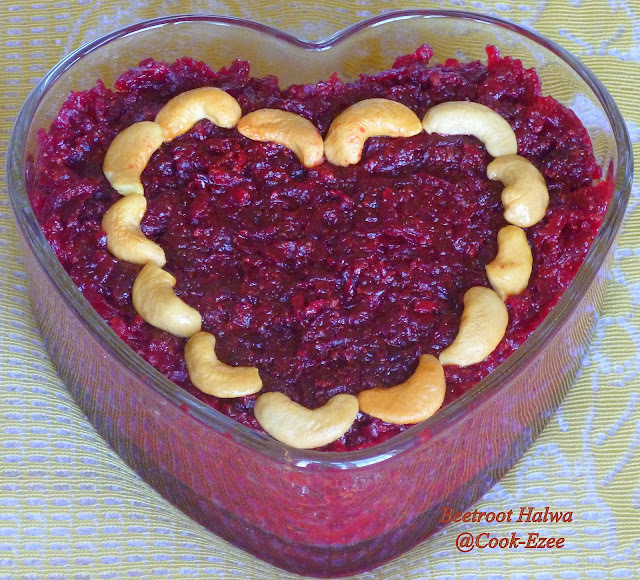 My son and my Husband love this beetroot halwa, so I love making them more often. I love the beautiful color of this halwa when it is made. Scoop out some vanilla Ice-cream and serve with this halwa, the taste is just awesome. 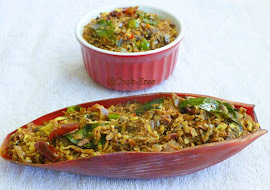 I clicked couple of pictures of this delish whenever I made it but never got a chance to post the recipe. 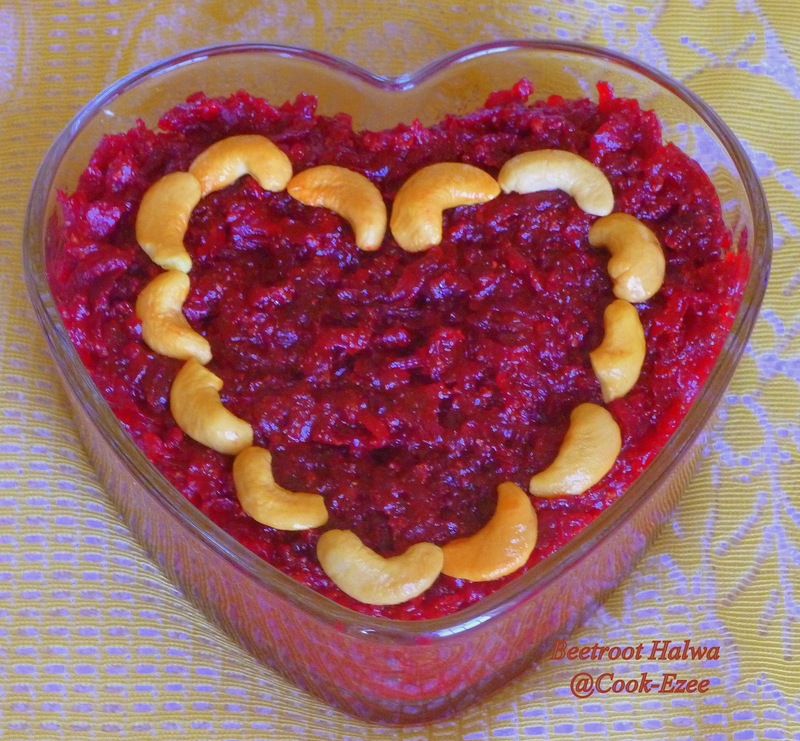 So when I made it today I thought of sharing this recipe with all my friends and readers as the beautiful color of this halwa is perfect for the Valentine's Day. 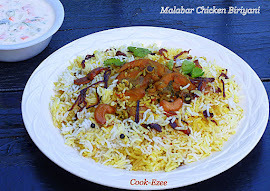 Try at home and Enjoy this delicacy !!!!! 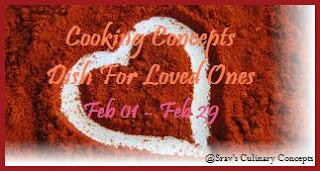 HAPPY VALENTINES DAY WISHES TO ALL!!!! Peel the beet skin, wash and grate them(I had around 3 1/2 cups grated beetroot). Heat up a kadai/frying pan, add ghee, roast cashews and keep them aside. Warm the milk at the same time you saute the beetroot, don't need to bring them to boil. Add Milk to the beetroot and cook in med heat sauteing in between. 1. The halwa taste great when chilled and served with a scoop of Vanilla Ice Cream. 2. Adjust sugar according to your taste, a bit more or less might work perfect for you. 3. Use any nuts of your choice, add raisins if you have it handy in your pantry. My favorite,looks so tempting and a perfect way to celebrate. My favorite halwa, looks fabulous.. Very delicious halwa & vibrant color,stunningly beautiful! I ve never had halwa with beetroot! Looks delicious! 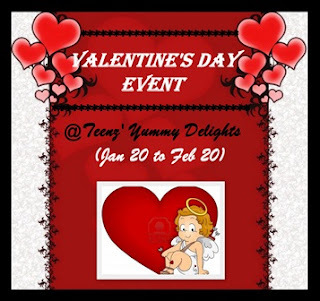 Happy Valentine Day !! Awesome halwa so tempting and romatic color !! loved it !! Absolutely love it & happy valentine's day! my fav dessert,loved its vibrant color...looks lovely dear!! Wow...halwa looks delicious dear...perfect for valentines day! I'm in love with that color too :-) So pretty ! 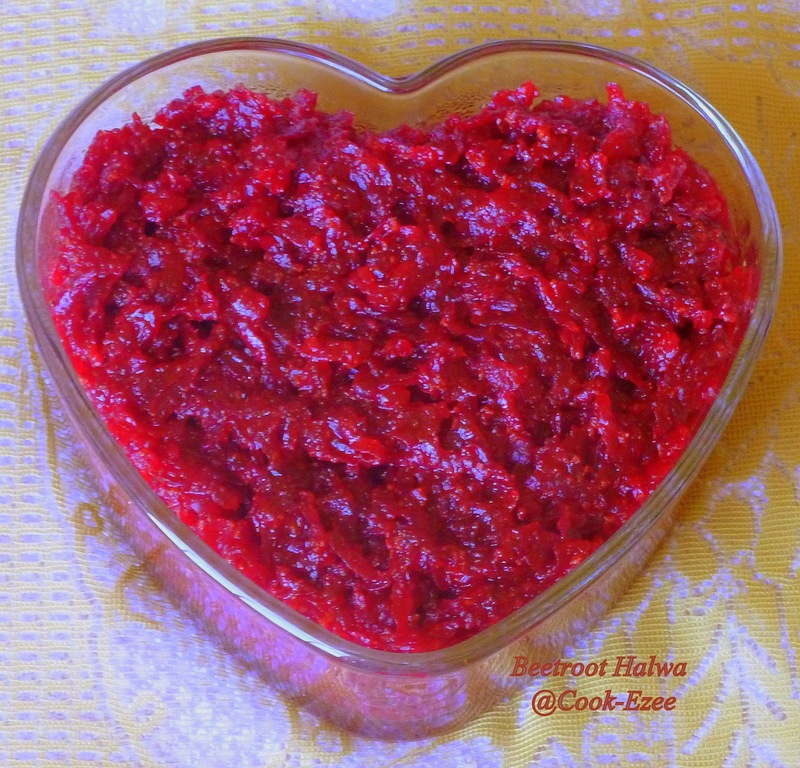 So you painted your V day red with this halwa,alle? Happy V day to you! great job on the halwa.. The halwa looks delicious healthy and so cute... Loved it..! Delicious and awesome halwa. Nice recipe. thanks for visiting my blog, you have a nice space too. Wow!Amazing dish! Well done and great blog! Hey Thanks for dropping in. My mom always used to make halwa with beetroot instead of carrots.. thanx for reminding,! Now I wanna make some. And yes, happy to follow your lovely space too.